Published Sept. 18, 2013 by Imperial Beach Patch. 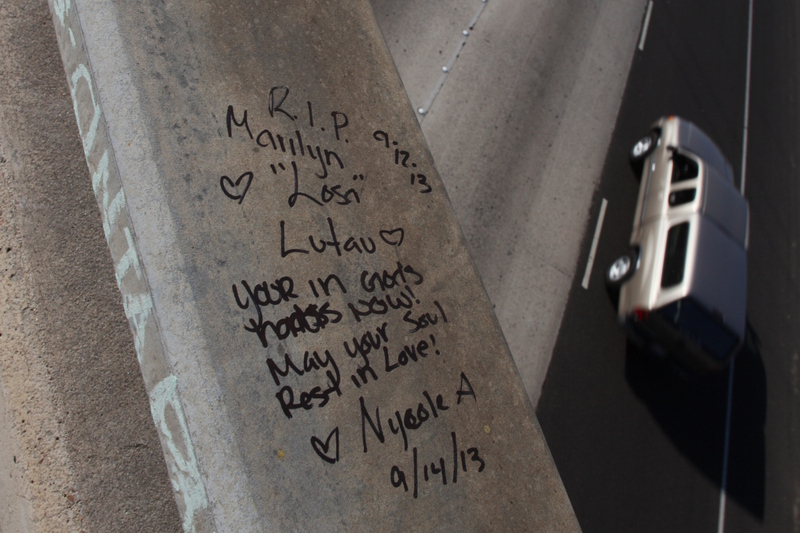 A memorial made of dozens of candles, flower bouquets and messages strewn on concrete has formed on the Coronado Avenue bridge that crosses Interstate 5 for Marilyn “Losa” Lutau, a 24-year-old woman who jumped off the bridge shortly before 2 p.m. Sept. 12. 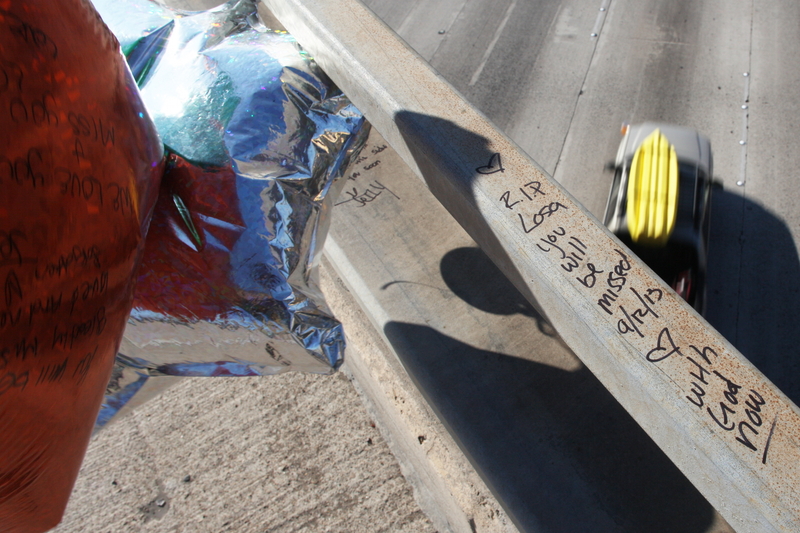 Remembrances of Lutau were also published online in comments on IB Patch and by friends and family in social media. The San Diego Police Department were called to Hollister Gas around 1:45 p.m. Thursday, according to Lt. Kevin Mayer with the San Diego Police Department. 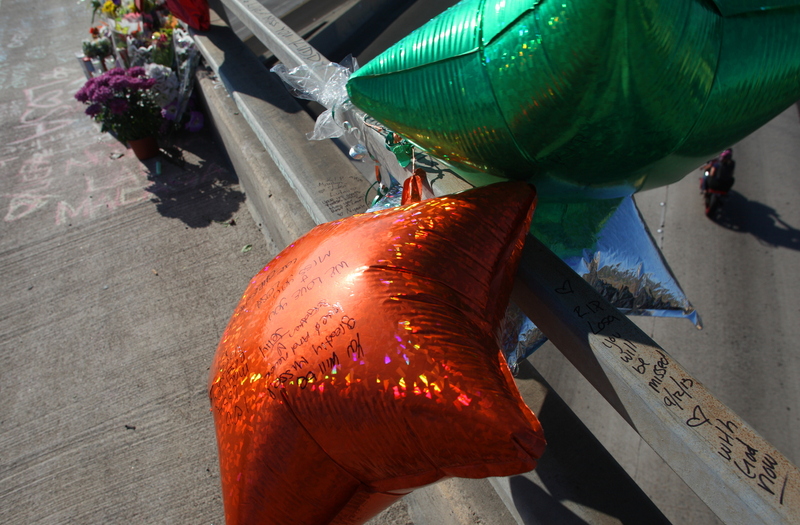 It appears Lutau was the aggressor in the domestic dispute, Mayer said, but was unable to offer any additional information about Lutau or the 23-year-old man who was part of the incident. 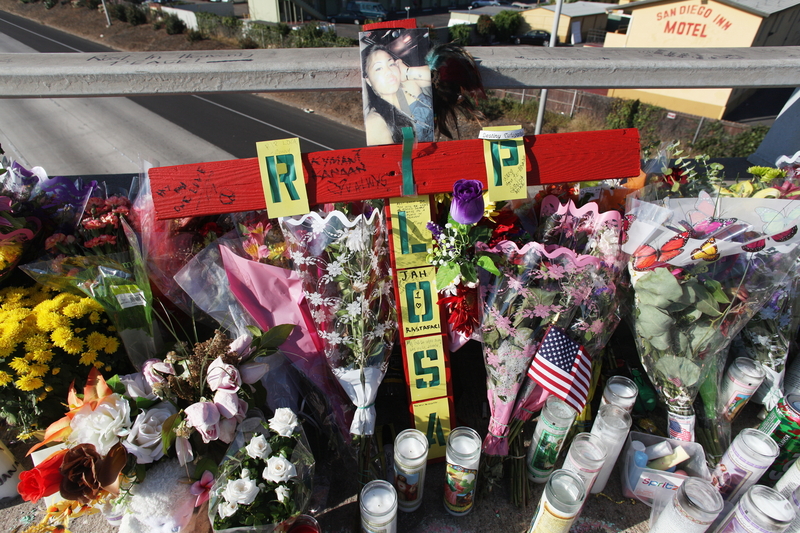 Lutau’s death was deemed a suicide by the San Diego County Medical Examiner’s Office. To access suicide prevention resources go to up2sd.org or visit the San Diego County Suicide Prevention Council website. 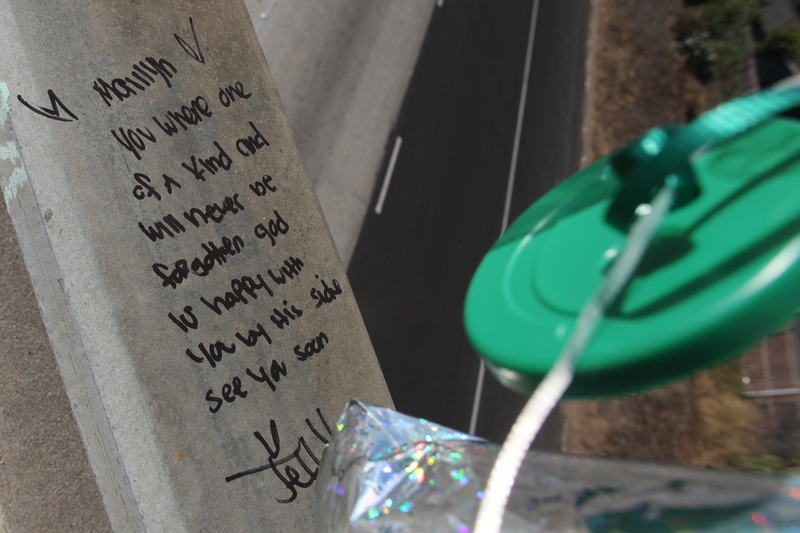 This entry was posted on Saturday, February 8th, 2014 at 1:31 am. 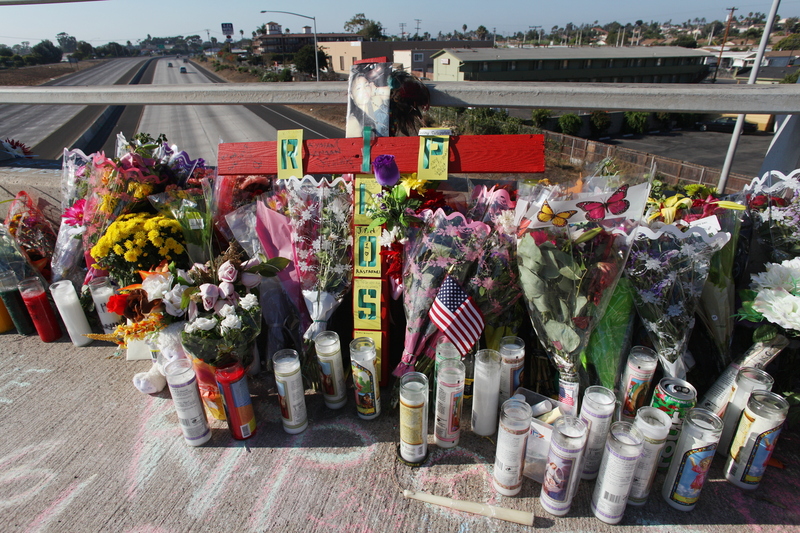 It is filed under Photography and tagged with crime, Imperial Beach Patch, suicide. You can follow any responses to this entry through the RSS 2.0 feed.